Fast and delicious, from the April 2011 Food and Wine. My only issue (and this is my flaw, not the recipe’s) is that I only had 3/4 lb. of veal, but I made the original amount of sauce. And I was having one of those rebellious moments when I decide measuring is for suckers, so I ended up with a too-oily sauce drenching the veal. Once I scooped it off the veal post-photo, it was fine in a smaller quantity. I’d make this again, just less sauce. I was also out of shallots, so I used red onion. In a medium skillet, heat the olive oil. 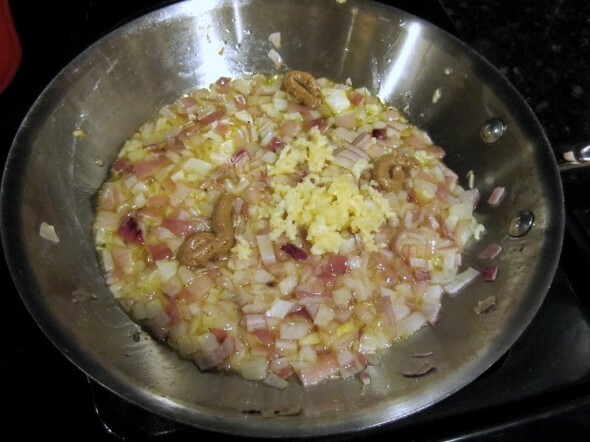 Add the shallots and cook over moderate heat until softened, 3 minutes. Add the garlic and anchovies (or anchovy paste) and cook over moderately low heat until fragrant, 4 minutes. 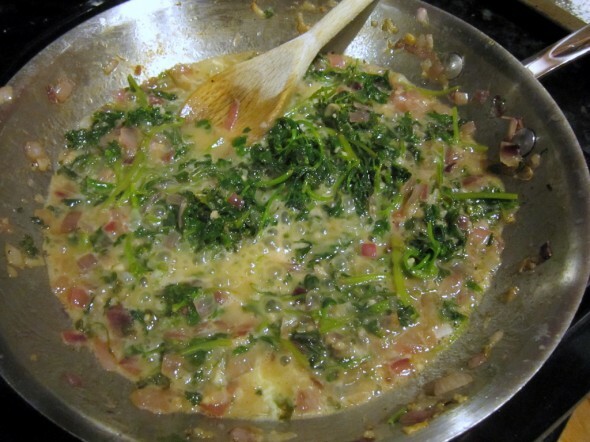 Add the parsley and cook over moderate heat, tossing, until wilted, 2 minutes. Add the lemon juice and the butter and stir until melted. 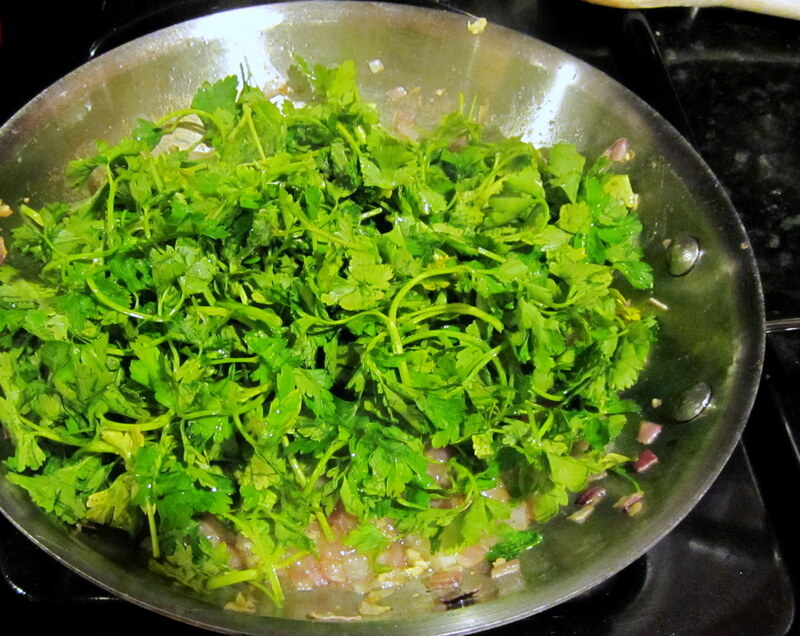 Remove the parsley from the heat and season with salt and pepper. Set a rimmed baking sheet near the stove. Season the veal with salt and pepper and dust with flour, shaking off the excess. In a large skillet, heat 1/8 inch of vegetable oil until shimmering. 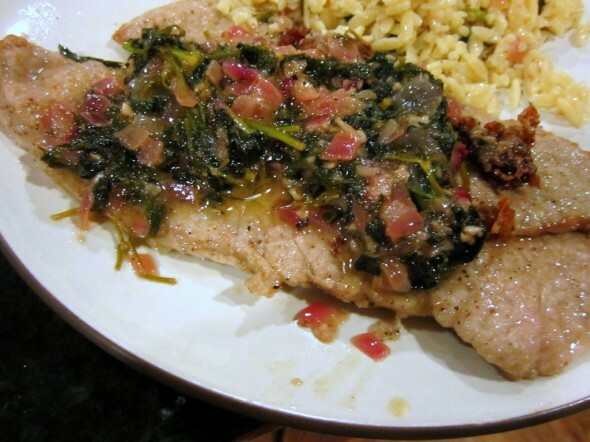 Add 3 of the veal scaloppine and cook over high heat until browned, 1 minute. Turn and cook for 30 seconds longer, until browned. Transfer to the baking sheet. 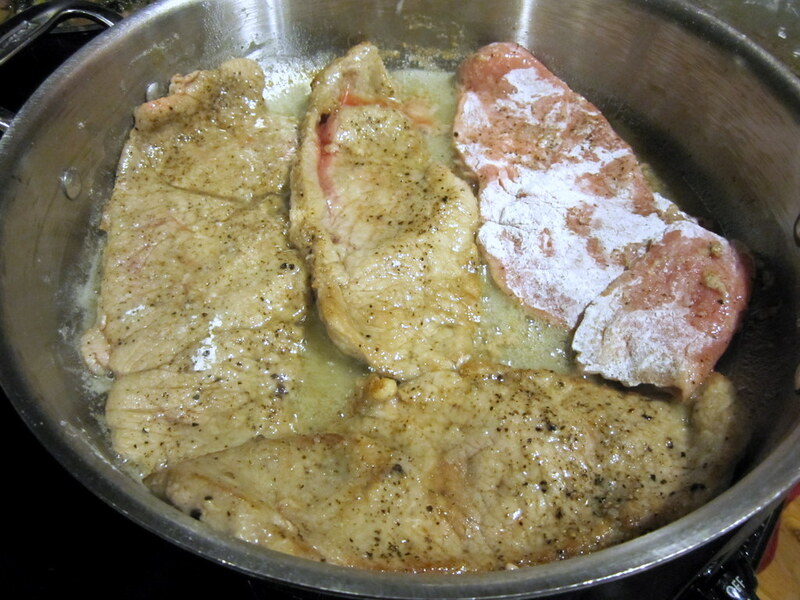 Repeat with the remaining veal, adding more oil and adjusting the heat as necessary. Discard the oil. NOTE: Find seasoned Japanese sesame seeds (gomashio) at Asian markets or substitute crushed toasted sesame seeds and salt (this is what I did).